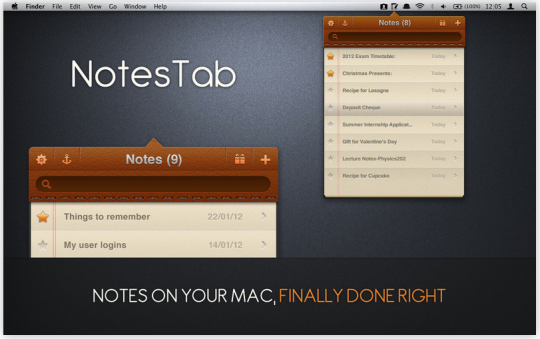 This nifty app sits on your Mac's menu bar and is available at the click of a button. It is perfect for jotting down a few lines as well as drafting that essay you've been pushing aside. NotesTab is an app that lets you write notes, just like Notes, but extends the functionality to allow sharing and some other cool features. 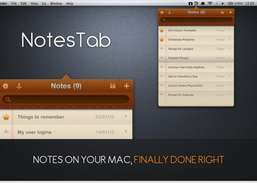 NotesTab installs easily and sits in your menu bar. Whenever you need to scribble a note you just click on the icon and a notebook opens. As you type a note, it is saved immediately, removing the need to hit a Save button. Work with Google Keep on a minimalist app layout. Synchronize real-time audio clips with typed notes, with timestamps. Make quick notes and view them from anywhere. Take notes right from the menu bar. Quick Note is especially designed for lightweight note-taking.